For millennia flowers have acted as gifts and presents for people, the world over. Fewer countries in the world can boast of a culture that is as ancient, and as diversified as India. For nearly 4000 years, India, has been a symbol of tolerance and brotherhood, punctuated with the use of flowers in festivities, solemnities and occasions of national, social and personal importance. Gifting flowers in India can sometimes be a tricky affair, because of the diverse social, religious and symbolic meanings ascribed to various species of flora. Well! Here’s a comprehensive guide to mastering the art of flower gifting in India. The Marigold flower native to India, is used in almost all rituals, from celebrating festivals, to even funeral processions. The Red Rose, is king of gifting flowers, especially since it signifies undying love and passion. Carnations on their own symbolize purity, platonic love and friendship. Gerberas in myriad hues are seen as flowers of hope, love, passion, contentment and commitment. Hydrangeas stand for grace and beauty and make an amazing accompaniment to Roses on account to their relatively tiny size and beautiful polish color. Lilies stand for grace, purity and peace. The common symbol of grace, beauty and new beginnings is the Daisy. The Sunflower is a powerful symbol of friendship, admiration and strength. India is one of the world’s most assimilated cultures. With people of hundreds of languages, religions, creeds and ethnic groups living in harmony; almost every day is a festival. 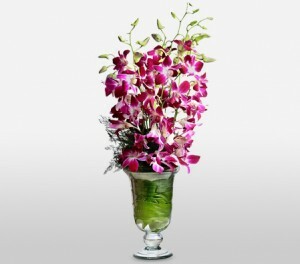 Flowers therefore play an important role in these festivals. 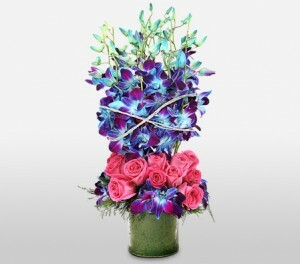 Both as items of ritual and gifting, flowers and floral arrangement are highly sought after. 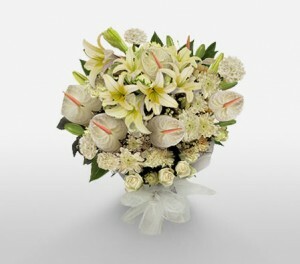 Thinking of gifting someone you love in India a floral tribute, for a special occasion? Don’t sweat it. Here is a comprehensive list of the most important flower gifting days in India, with our notes on the appropriate flowers by occasion. The planning for Valentine’s Day (14th Feb) starts weeks in advance in India. Boyfriends and husbands go absolutely mad, looking for unique gifts to impress their girlfriends and significant others. Well of course flowers play an extremely important role in the celebrations and as such are a staple for this occasion. When in India, you cannot go wrong with the Red Rose on this day. 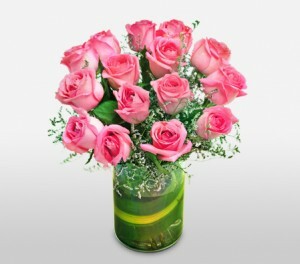 Want a break from tradition, how about a dozen long stemmed Pink Roses? 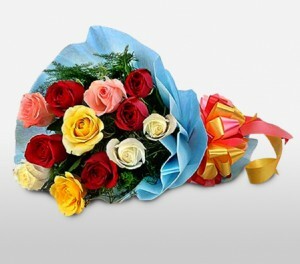 A lovely bouquet featuring Roses, Lily, Carnations and Daisies, will show your true feelings to the woman of your dreams. Add a plush toy like a Teddy Bear and a box of Ferrero Rocher and you will have the most perfect expression of love and passion in existence. Roses are in serious demand in and around Valentine’s Day. Reserving your bouquet in advance therefore makes a lot of sense in order to avoid disappointment. Where Valentine’s Day celebrates romantic love, Women’s Day in India is all about celebrating the myriad roles a woman, be it a wife, mother, sister, aunt or coworker. Celebrated on the 8th of March, Women’s Day sees a whole host of flowers presented and received. Depending on your relation to the lady in question, a wide variety of floral gifting options are available. For a wife/lover, look no further than a bouquet of Red, Pink and White Roses. If it is your mother or sister you want to show how much you care Yellow Roses are the go to flower, else a mixed bag of Roses, Gerberas, Carnations and Lilies would do the trick. For friends and coworkers add a Daisy component (replacing the Lilies in the aforementioned bouquet) and you’re sorted. Adding a box of Chocolates or a Chocolate Cake to your floral arrangement elevates it to an even more thoughtful, comprehensive gift. The role of the mother in Indian life has been celebrated in the epics. In modern times, Mother’s Day takes off where the traditional celebrations left off. Celebrated on the third Sunday in May, flowers along with elaborate gifts and edible offerings play an important role in making the day special. Some of the most important flowers for Mother’s Day include Roses (all colors), Gerberas, Lilies, Carnations, Daisies and others. Really want to show your mother how much you appreciate her? Well look no further than adding a Sweet Memories Box of Chocolates, or a Black Forest Chocolate Cake to her floral arrangement. Adding a thoughtful card with a handwritten note such as: “For all the times you put my needs above yours; this is a small token of my love and gratitude” will add a loving touch to the gift as a whole. The role of a father in the life of an individual is often a silent, in-the-background kind. Father’s Day seeks to raise the patriarch out of his relative obscurity and acknowledge his various contributions to the family and to the individual. In India, Father’s Day celebrated in the month of June sees, families coming together to treat the patriarch to a day that’s all about him. Looking for flowers for the most important man in your life? You can’t miss a trick with a dozen long stemmed Red Roses. Adding a riot of color to the proceedings are Lilies, Gerberas, Carnations, Sunflowers, Daisies and others. Christmas in India, as with most festivals is celebrated by one and all. It is a time of celebration and coming together with the family. The weather in temperate India at this time is pleasant, and a wide variety flowers are available for use both as gifts and for decorative purposes. Think Roses, Lilies, Hydrangeas, Carnations, Gerberas and Daisies, in order to really bring a smile to the faces of your loved ones, and even brighten up the home in the bargain. In the previous section we took a peek at the various communal celebrations and the popular flowers for gifting and decor. But like anywhere else in the world; birthdays, weddings and funerals are also important celebrations and solemnities, that mandate floral arrangements, bouquets and tributes. Helping you navigate the tricky waters of floral gifting in India, for personal milestones, is what this next section is all about. Birthdays are a big deal in India, and you will most often want to gift your friends, family and lovers with the very best on their special day. That being said, here are a few things that will help you make the right decisions, for the apt floral gift for them according to this occasion. The flowers to go with: Depending on your relation to the person celebrating their birthday, Roses (for intimate relations like a girlfriend, father or mother) make perfect sense. Depending on your equation with friends, you may want to look at Tulips, Gerberas, Carnations, Daisies or Lilies. Combinations: Again depending on the age, preferences and tastes of the person, a wide variety of gifts from chocolates, to perfumes and everything in between may be proffered. Birthday Greetings: No gift is ever complete without a greeting card, for birthdays, it is best to hand write a greeting; something to the effect of: “On your special day, I wish you nothing but the best. The best of love, the best of life’s treasures, the best of health, wealth and happiness. Happy Birthday”. The Big Fat Indian Wedding is a riot of color, ceremony and togetherness. Flowers play a huge role in both gifting and the decor aspect of the event. When offering flowers as a gift, it would bode well to remember the following. 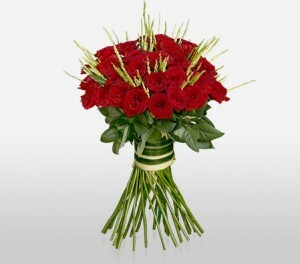 Choosing congratulatory flowers: Red Roses are symbols of love and as such are an excellent gift for the occasion. Adding Lilies, Gerberas, Chrysanthemums, Sunflowers, Daisies and Carnations also elevates the look and aesthetic value of your floral arrangement. Combinations: In India, ‘Shagun’ in the form of cash gifts in ornate envelopes are a traditional way of gifting. Looking for a break from tradition, gift vouchers redeemable on vacations (depending on your budget), or to popular e-commerce stores are also a good option. Wedding Greetings: A congratulatory note is a classy way of completing the gifting loop. A handwritten note to express your sentiments is the best way to go. Use a simple but stylish card and greeting to the effect of: “Thank you for making us a part of your celebrations, we wish you all the love and luck now that you’re embarking on a lifelong journey with each other. Congratulations on your wedding”. Funerals in India are a time to express condolence for the loss of the bereaved family. Last respects in India are generally expressed in the form of floral tributes. They offer a sense of peace and a show of solidarity with the deceased’s family. Condolence Message: While written condolence messages are not common, they can be offered as a show of understanding, support and solidarity with the grieving family. The message could be something to the effect of: “In life he/she was a dear friend and someone we looked up to. We will miss him always, and we stand with you in your moment of grief. Our sincere sympathy to you and your family. Where Do Flowers In India Come From? India, with its several important festivals, is one of the world’s most active markets for flowers. While it does have a rather robust horticulture industry, demand for exotic flowers will always see a raise. India imports from all around the world. Roses from Central and South America, Tulips, Lilies, Gerberas and Daisies from EU countries including The Netherlands, Germany, Italy, Spain and France. The Asiatic Lily, Chrysanthemums and other seasonal flowers from Japan, Philippines, Singapore and Thailand are among the most sought after flowers in the Indian subcontinent. Researching the meaning of flowers: In one culture the Lily may be considered a mourning flower, whereas in another, the romantic aspect of the same flower may hold more importance. Depending on the culture, it is important to research the meanings of the flowers before considering gifting them, in order to avoid inadvertent disrespect or embarrassment. How To Care For Flowers Received As Gifts? As people, Indians are a warm and a hospitable bunch. Flowers play an important role in ceremonies, festivals and solemnities in India and gifting flowers will earn you the love and gratitude of the people. Finding the right flowers for the right occasion is only a matter of knowing where to look and a little reading about the meaning of the flowers in question. With this guide, you can gift flowers like a seasoned pro. So what are you waiting for? Gift away!